Continuing with one of Banpresto's more recent highly celebrated collections, the King of Artist Series, comes Sanji, one of the coolest cast members from the super popular anime One Piece! 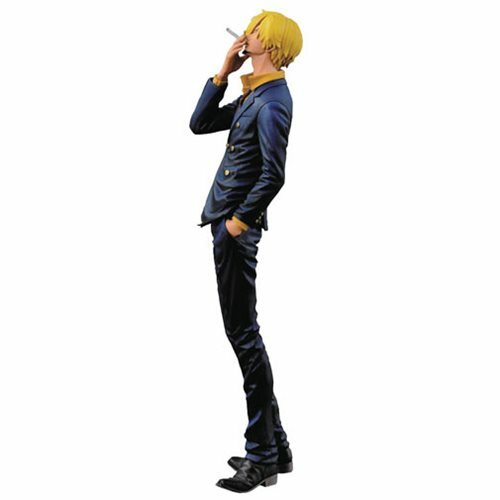 Standing at a towering 10-inches tall, Sanji's figure design captures a moment of the hero silently pondering his thoughts while having a smoke. Ages 15 and up.